Love epic fantasy movies like The Hobbit: An Unexpected Journey? You definitely need to check out these other flicks! This is one of my favorite movie genres (along with science fiction). There is just something about discovering a whole new world of magic, adventure, and fantastic beasts! It’s such a great way to escape the pressures of everyday life, don’t you think? 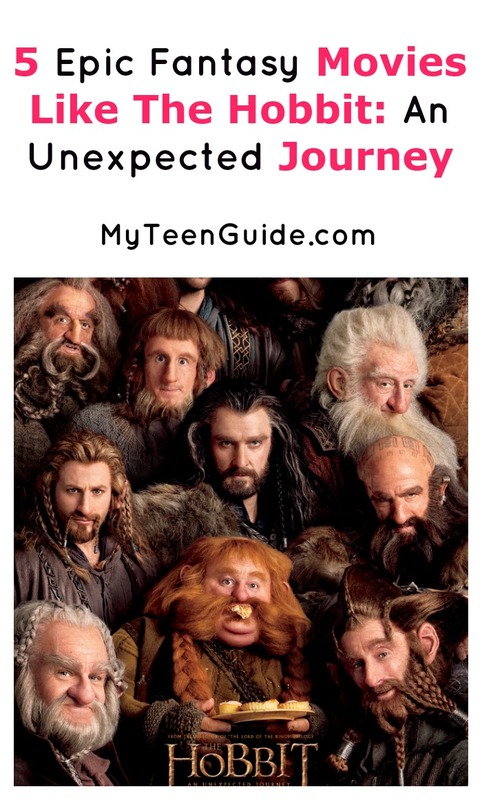 Check out these other great movies that you’ll enjoy if you’re a fan of the Hobbit! The Hobbit: An Unexpected Journey is a 2012 epic fantasy adventure movie that is based on the 1937 movie The Hobbit by JRR Tolkien. It is the 1st movie in a series of 3, with the other two being the 2013 The Hobbit: The Desolation of Smaug and the 2014 The Hobbit: The Battle of the Five Armies . Together, the three movies are the prequel to The Lord of the Rings movie trilogy. Here are some other great movies like The Hobbit: An Unexpected Journey. Dragonslayer is a 1981 fantasy movie. The movie takes place in the fictional medieval kingdom of Urland. In the movie, Galen Bradwarden, a young wizard, deals with danger as he attempts to battle Vermithrax Pejorative, a 400-year-old dragon. Dragonslayer stars Peter MacNicol as Galen Bradwarden. The NeverEnding Story is a 1984 epic fantasy movie that is based on the 1979 book of the same name by Michael Ende. The movie tells the tale of Bastian Balthazar Bux, a 12-year-old book lover, who hides from bullies in the attic of the school and reads a book that tells the story of Fantasia, a fantasy world, and a young boy named Atreyu, who must stop The Nothing, a dark storm, from taking over Fantasia. The NeverEnding Story stars Barret Oliver as Bastian Balthazar Bux and Noah Hathaway as Atreyu. Willow is a 1988 fantasy movie that centers on the tale of Willow Ufgood, a farmer who hopes to become a sorcerer. Willow Ufgood is tasked with caring for and protecting Elora Danan, a prophesied infant, from Queen Bavmorda, an evil sorceress. Willow stars Warwick Davis as Willow Ufgood and Jean Marsh as Queen Bavmorda. Kingdom of Heaven is a 2005 historical drama movie. The movie takes place during the Crusades of the 12th century and showcases the life of Balian of Ibelin, a blacksmith from France, who takes on the mission of helping the Kingdom of Jerusalem in their battle with Saladin, the Sultan of Egypt and Syria, who wants to take over the kingdom. Kingdom of Heaven stars Orlando Bloom as Balian of Ibelin and Ghassan Massoud as Saladin. Inkheart is a 2008 adventure science-fiction movie that is based on the 2003 book of the same name by Cornelia Funke. The movie centers on Meggie Folchart, a young girl who discovers that her father, Mortimer Folchart, can bring characters from books to life. Now, Meggie must try to stop Capricorn, a freed villain, along with the help of her father, her aunt Elinor Loredan and Dustfinger, a book hero. Inkheart stars Eliza Bennett as Meggie Folchart, Brendan Fraser as Mortimer Folchart, Andy Serkis as Capricorn, Helen Mirren as Elinor Loredan and Paul Bettany as Dustfinger. Do you have any favorite epic fantasy movies like The Hobbit: An Unexpected Journey? Share below!